Several years behind the Hale-Bopp comet and the infamous Heaven’s Gate mass suicide of 1997 (which spurred some apocalyptic hysteria of its own); Y2K became the new face of doom in the years leading into the Millennium. In short, the debacle centered on a simple yet prickly programming oversight: To save money in programming, a two-digit abbreviation system was employed to denote the year as opposed to a four-digit system. As the problem became clear, fears mounted that computers would go haywire when faced with the year ‘00’, confusing 2000 for 1900 and a pre-computer era. “With 300 million interconnected computers worldwide,” writes Brian W. Fairbanks in Surviving Y2K: Staying on Top in a World Turned Upside Down, “computers now carry the burden of Atlas, balancing the entire globe on their shoulders. But now there’s a bug resting on those powerful biceps. On January 1, 2000, that bug will start to move, crawling on those ticklish arms.” Through a consorted effort by the powers that be and billions of dollars in research and implementation, the bug was effectively squished and the big “what if” surrounding Y2K quickly became a “remember when?” to the relief of the world. Photo via NASA. 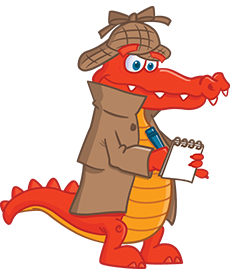 With a little bit of Alistgator flavor. An unwanted visitor from the outer solar system (the Oort Cloud) came into our galactic neighborhood in late 2010, prompting some marginal hysteria and interesting headlines. 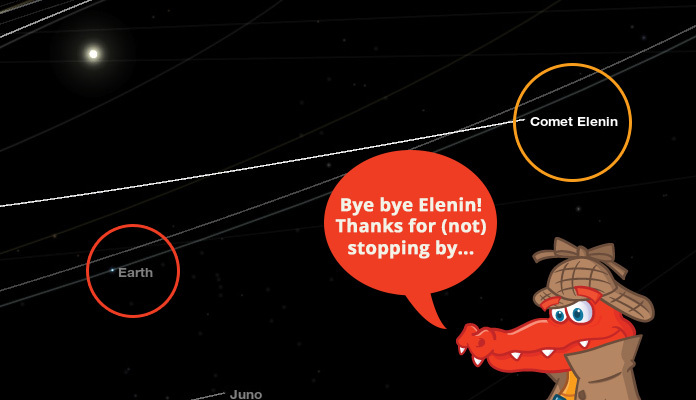 “Also known by its astronomical name, C/2010 X1, Elenin somehow quickly became something of a “cause célèbre” for a few Internet bloggers,” wrote NASA on October 25, 2011, “who proclaimed this minor comet could/would/should be responsible for causing any number of disasters to befall our planet.” NASA dispelled the rumors, adding, “There are no known credible threats to date.” Certainly, the tendency of doomsayers to grasp onto the “death from above” scenario always comes into sharper focus when a NEO (near-earth object) enters the scene. Hopefully going forward, people will leave the predictions to the scientists! 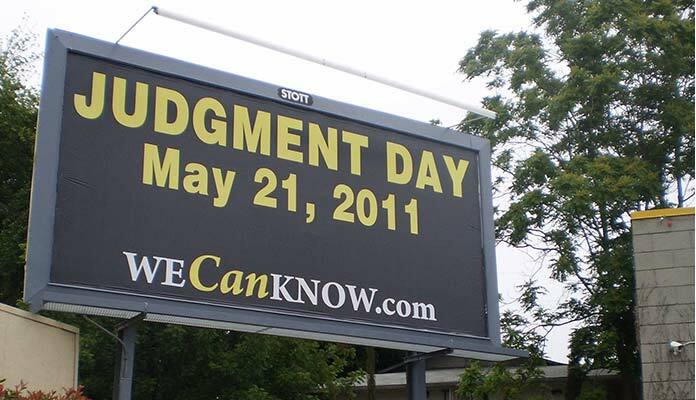 In the end, Camping admitted the error of his prediction as doomsayers changed their gaze to the next big date, December 21, 2012. In recent years, the grossly skewed and misinterpreted “2012 Maya apocalypse” cluttered the internet and airwaves with unrelenting speculation and prediction. Yet the slightest bit of research could have easily disproven even the most outrageous of 2012 apocalypse claims. 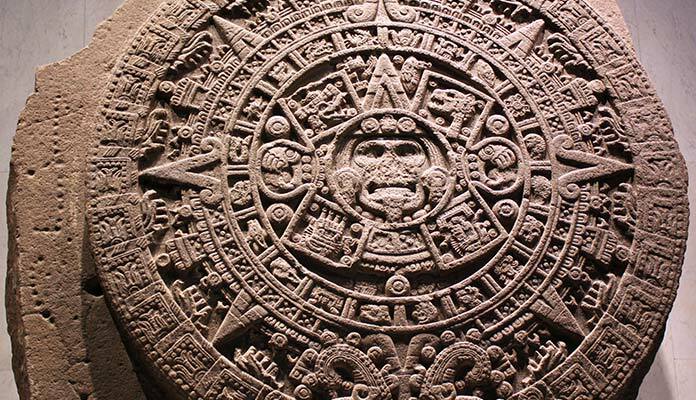 Perhaps the first step for those touting the 2012 Mayan apocalypse should have been to reanalyze the incorrect assumption that the Mayan calendar ended in 2012. In fact, a simple read in a text book reveals that the ancient Maya believed in cyclical time and thus, a Baktun transition into a new era. With no shortage of doomsayers, just a few of the catastrophic scenarios caught in the magnetic pull of misinformation included the Niburu (aka Planet X) collision fears, massive solar storms, a shift in the magnetic poles and a rare planetary alignment that would cause colossal tidal effects. NASA swiftly put those fears to rest in a series of statements and videos (for example, eeny, meeny, miny, moe) leading up to (and following) that most auspicious of dates. In the end, with the passage of the date, this very tired story was put to bed once and for all. For those still in disbelief, feel free to read up on “Why the World Didn’t End” on 2012, courtesy of NASA. Marlon Heimerl is a writer for HalloweenCostumes.com, a leading online retailer in Halloween costumes, accessories, and décor.